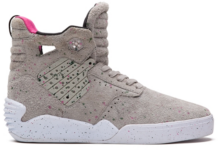 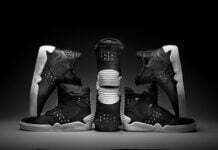 Supra’s radically designed Falcon model makes a return this season in a new “Badge” mock up. 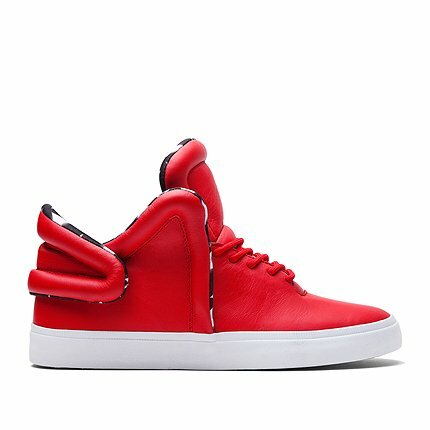 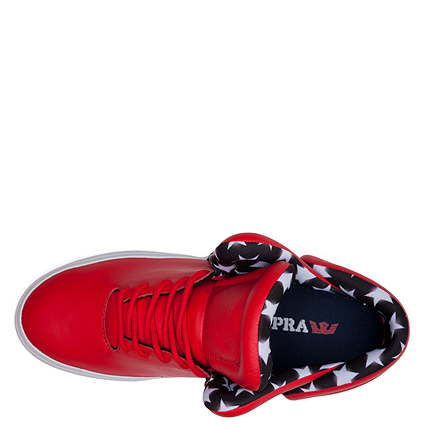 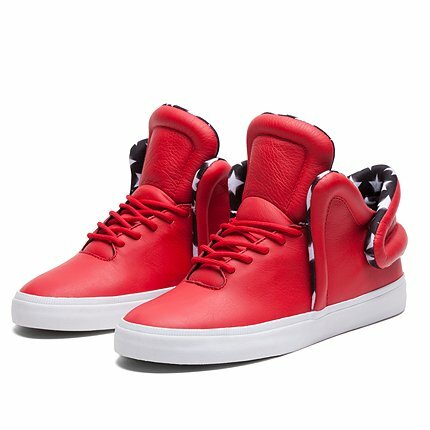 This mid-top offering takes on a leather construction in an athletic red and white colorway with a padded mesh collar, a star detailed inner lining, a vulcanizes midsole, and a clean outsole that displays a unique flag-inspired pattern. 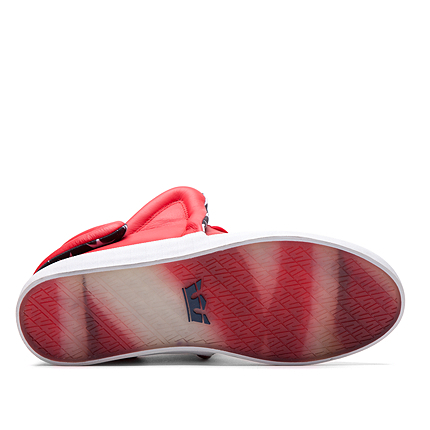 Priced at $150, the Supra Falcon “Badge” – Athletic Red/White-White is now available online at Supra.